Years ago, social media marketing was not taken seriously by attorneys. Most attorneys see their clients as "too sophisticated" to use social media. They believed that their ideal clients couldn't be reached on social media. Now, social media as been nearly universally embraced by all age groups and income levels. Facebook is trying to become an identity verification tool, and twitter is a frequent source of news. It can be difficult for attorneys to find their groove on social media, but once you do the returns can be huge. The key is to be both effective and productive, and to avoid throwing money at social media ads that under-perform. Find out what you can do on social media with some frequently asked questions below. How do I track the results of my law firm’s social media campaign? The great thing about most social media platforms is that you can get an instant response to your legal marketing. Within seconds of posting an update, Tweeting, or changing your status, your followers will be able to comment on and share your message, disseminating your firm’s message exponentially. If you want to take it a step further, there are ways to get a more concrete information on your social media marketing. Facebook and Twitter have tracking software built right in, making it easy to track your marketing results—and the best thing is, it’s also free. Twitter. Twitter offers analytics on tweet performance and engagement. They also monitor how many followers you gain or lose within the last 30 days. Facebook. Facebook’s Pages application allows you to create a “page,” or fan site, for your business, allowing you to post as the business entity or under your own name. Facebook automatically tracks the reach and activity of all fan sites, which can be seen on the administrator’s page. Google Analytics. All websites should have Google Analytics no matter what. Analytics offers many tools that you need to discover how social media is driving traffic to your website, and how that social media traffic behaves on your website. 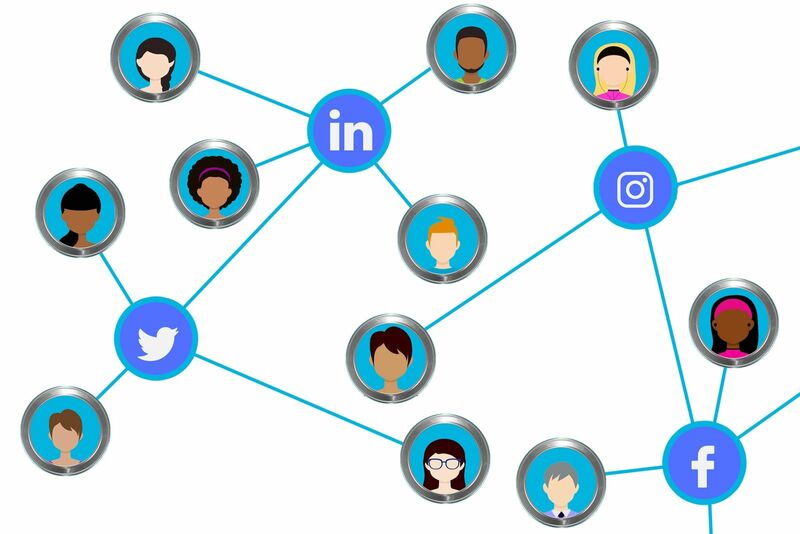 You can get a lot of info from the free tools that are available to you, but paid platforms like HootSuite can help you automate your social media and allow you to post status updates on all social media platforms from one place. Remember: the key to successful marketing for personal injury lawyers is getting a great return on investment. Creating a marketing campaign is only half the job; the other half is tweaking your message and platforms so that your marketing is constantly growing and evolving. Should I try to get more followers on social media? How will that help my social media marketing? Getting more followers on social media has a few benefits. In a way, having a lot of followers on Facebook is like having a lot of email contacts. They are people you can marketing to with relative ease, plus you know they are somewhat interested in your law firm. There is more value in a contact on your email list than in social media. Emails, generally, get more attention than a status update. However, that does not mean your social media followers are worthless to your marketing. You can still reach them regularly by keeping your social media page current and up-to-date. More followers may also equal more Facebook reviews. Most people have Facebook now, and Facebook is putting emphasis on it's online reviews. In fact, if you Googled your firm's name, more than likely your Facebook page will rank high on page one. In marketing terms, Facebook followers are the equivalent to people who are on your mailing list in some important ways. Permission to market. 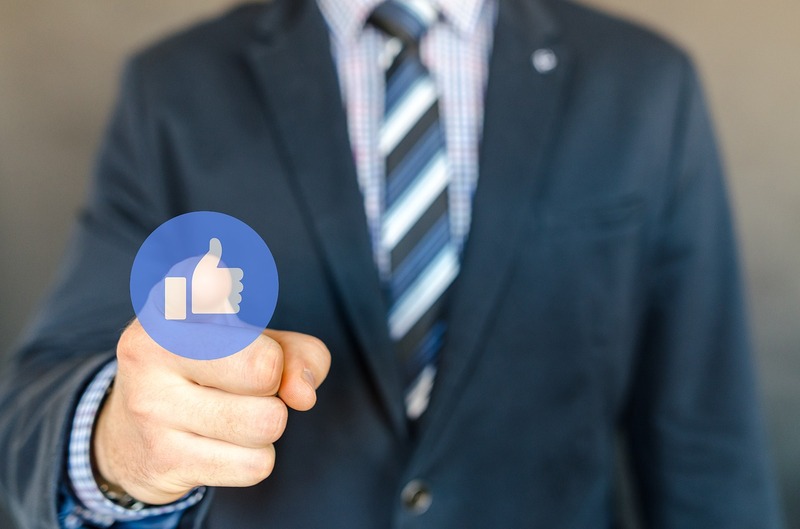 When users click the “like” button, they are subscribing to your page’s updates the same way they would agree to receive your newsletter, mailed brochures, or email updates. Demographic information. You can easily see a list of those who “like” your page, allowing you to see where your fans are located, what they do for a living, and other valuable information that will help you tailor your marketing efforts in the future. An opportunity to update followers easily. Many people would rather receive your updates through social media than by getting weekly emails cramming their inboxes. Updating your status is not only less time-consuming, it’s less of an imposition on your fans. Your “likes” also emphasize the social aspect of social media: the more popular you are, the more new users will trust your credibility. It gives you a palpable measurement of the size of your marketing audience, giving you an estimation of how many people—and friends of those people—you have an immediate opportunity to convert. I'm responsible for updating my law firm's official Facebook page. One of our firm's “friends” constantly adds combative comments to my posts, questioning my expertise and the role of lawyers in society. What should I do? That's a simple question to answer: Unfriend him! As the administrator of your law firm's Facebook page, it's well within your abilities to make a hostile commenter disappear, or if that's not practical, at least to delete his comments as soon as they're posted. On your own Facebook site, you are the master of your domain, and there's no reason to put up with an annoying or intrusive guest who may repel other, more loyal, clients. Matters are different, though, if you notice a discussion about your law firm taking place on someone else's Facebook page (which you have access to, of course, only because you have “friended” or “liked” that firm yourself). Since you are unable to delete the offending person's comments, it may seem like your only recourse is to join the discussion and defend the honor of your law firm. More often than not, this strategy will backfire; some Facebook users really like to get into arguments, and you have better things to do with your time than to carefully and factually debunk everything this “troll” has to say. I've set up a Twitter account for my law firm, and I'm thinking about letting our college intern be in charge of our tweets, since she's closer to the age of the average Twitter user and will presumably know what to say. Is this a good idea? That all depends on how mature and reliable your intern is. As easy as it is to use, Twitter can be a dangerous weapon: it's very tempting, on the spur of the moment, to send out a 140-character tweet commenting on a news event, and then realize that you should have weighed your words more carefully. Practically every week, a celebrity or politician lands himself in hot water by not thinking before tweeting—at which point disgruntled and disappointed fans react by posting their own tweets lambasting the original tweeter, and the whole thing lands on the front page of CNN or MSNBC. Remember, the point of your tweets is to tastefully call attention to your firm, boost your Internet visibility, and (hopefully) attract prospective clients, not to show off how hip or clever you are. If you don't feel that your intern can handle the task responsibly, it will only take you a few minutes a day to do it yourself. Most of my law firm's clients are middle-aged or elderly, and aren't very active in social media. Why should I bother to set up a Facebook page for our firm if no one is going to look at it? Your question includes an unwarranted assumption: that very few middle-aged or elderly people know about (much less care to join) social media sites like Facebook. That's a common misapprehension among twenty- and thirty-something professionals, who wake up one day to discover that their parents have sent them a “friend” request! The fact is that, while Facebook doesn't have anything near the market penetration among older people as it does among high-school and college students and young adults, those demographics are changing every day. Part of what makes Facebook so popular is that it's so easy to use: even a great-grandma can easily create an account and populate her “friends” list with the touch of a button. Whether or not she will be actively engaged on Facebook, constantly updating her status and commenting on friends' posts, will be a matter of her personal proclivities—but keep in mind that retired people can have a lot of time on their hands, and Facebook is an easy way to keep in touch with friends and relatives. That's why your law firm should have a Facebook presence, even if your clients aren't in the prime of their lives. You'd be surprised at how many people use Facebook to find basic information—such as, say, asking their friends for the name of a reputable lawyer—and you want them to be able to “share” your corporate page easily and quickly. You can even cultivate potential clients by engaging in conversations with them on your (or their) Facebook page, and then inviting them to visit your real-life office. Why Should I Use Twitter for My Law Firm? Sure, your clients and potential clients can just look on your website—if they can find it. Maybe the better question is, How can I make sure that using Twitter will get me the results I want? The important thing to remember is that Twitter is just one link in the chain of your law firm’s web marketing strategy. You don’t need to advertise your legal practice on every webpage on the Internet, but you’d be silly not to be on the one page that everybody is reading. Everybody else is. Well, maybe not everybody—but with nearly 200 million registered users, at least one person you know is checking his feed on a daily basis. That’s one person you could have made into a client (who will likely have found your competition through Twitter). It’s FREE. Most social marketing sites offer free accounts, making your investment well worth the return. By adding keywords to your posts, you’re making sure local traffic makes it to your page—easily turning readers in your area into contacts. It takes about a minute. The whole point of Twitter is to communicate with your audience in a message that is under 140 characters. This the perfect length to promote an update to your website (How does the new Texas helmet law affect your kids? Check our blog to find out!). Just don’t forget to add a link. Of course, social media marketing is always changing and evolving—and the only way to stay competitive is to make sure you’re changing along with it. How Effective Is Facebook As a Legal Marketing Tool? The time of a lawyer is very valuable. 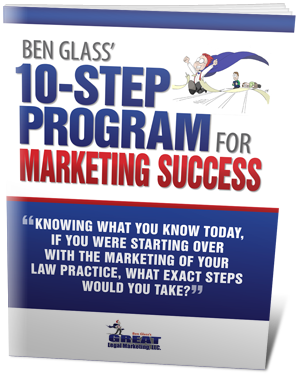 It is, therefore, essential that the hours spent on legal marketing be effective. Facebook is a valuable lawyer marketing tool that can offer tangible methods for tracking its effectiveness. The following is a list of factors that provide proof that Facebook is time well spent for attorneys. Facebook has over 1.86 billion members. If Facebook were a country, it would be the largest nation by population. Joining a network of this size provides access to a limitless number of potential clients. Facebook now has more visitors worldwide than Google. Having a law firm Facebook page improves your firm’s search engine optimization results. Facebook is an additional means for increasing your online presence. Facebook Insights and other tools provide valuable tracking information, including graphs and statistics on the types of users your page attracts, including their genders, ages, and locations. The average Facebook user has 130 friends. When the user “likes” or interacts with the firm’s page, it appears on the newsfeeds of all of that user’s friends. Facebook is free. Everything is zero cost to your firm, meaning that every dollar generated from its use comes without a fee. Advertising on Facebook is not free, but it is inexpensive compared to other pay-per-click options and can get you a better return on investment.